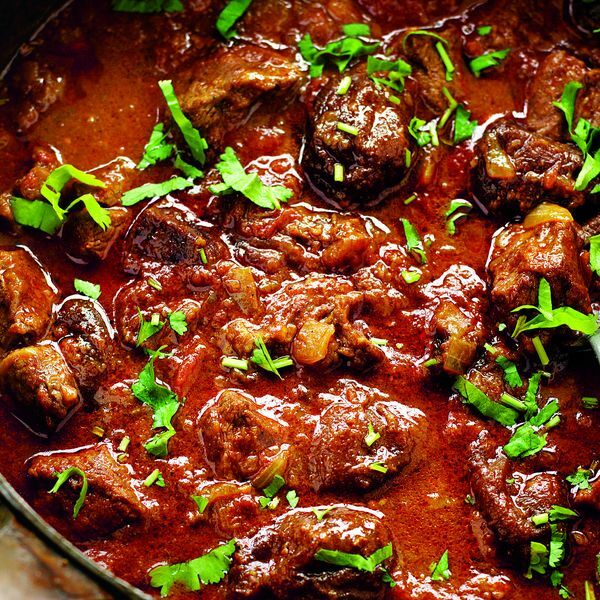 Enjoy the sweet and spicy pairing of plum and anise in this lamb curry from The Spice Tree. 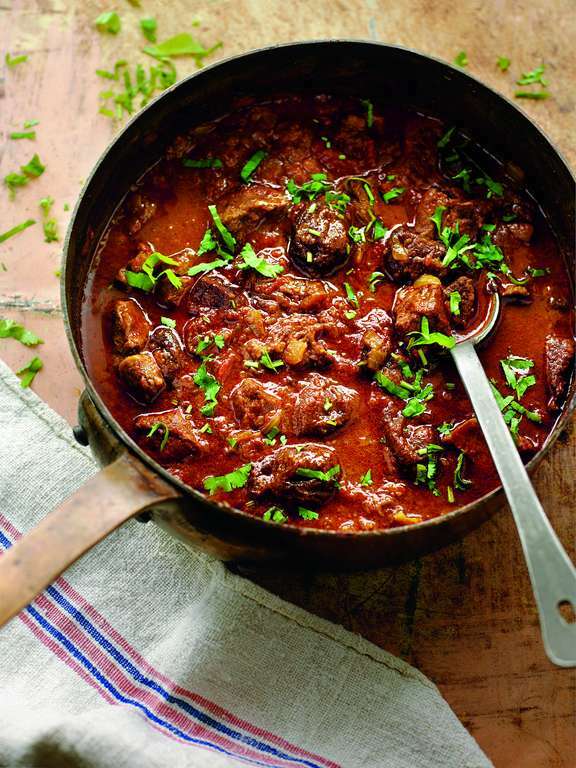 With a generous simmering time, you'll enjoy melt-in-the-mouth lamb. 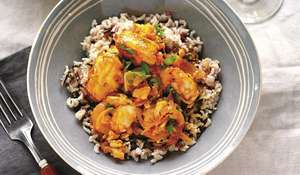 I have so many fond memories of watching my father make this dish. 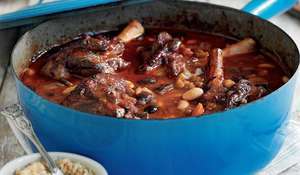 Staring longingly into the pan during the long simmer, I would haunt him, 'Mon, is it ready yet? Is it ready yet?' 'Not until the fat sits on the top like a golden mirror,' he would say. 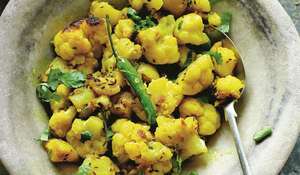 Put the vegetable oil in a large heavy-based saucepan and set over a medium-high heat. When hot, add the onions, ginger and garlic and fry for 8 minutes until the onions have softened and turned golden brown. Stir in the garam masala, cumin powder, anise powder, ground turmeric and chilli powder and fry for 30 seconds, then add the diced lamb and fry until it starts to brown, stirring well so it is fully coated with the spices. 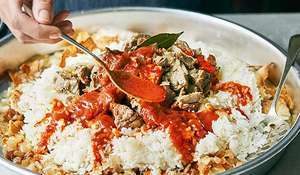 Add the chopped tomatoes, water, plums, salt and sugar and bring up to the boil, then partially cover, reduce the heat to low and simmer gently for 1 3/4 - 2 hours or until the lamb is tender. Add more water if necessary to loosen to your taste before serving. Who's the author? 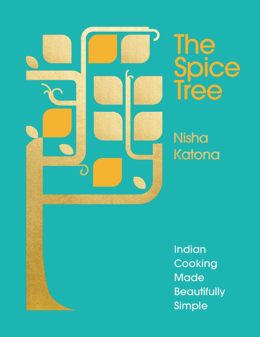 Nisha Katona, a British born India, is food writer, Indian cookery teacher and founder of Mowgli Street Food.